While providing online services can offer convenience and expedite processes, it can also leave customers without the aid they may need to complete their transaction. This is why businesses across the board are focusing on providing personalized instructions and guidance to help shoppers navigate through their selection of products, streamlining what can be a complex process. Life insurance company MassMutual’s in-house startup Haven Life helps make the process of shopping for term life insurance less intimidating to Millennials. The company has been using data to reduce the number of incomplete applications. After a customer completes an initial online application, Haven Life uses video rendering software to develop personalized videos that include basic data about the individual and adds some levity to an otherwise intimidating experience, which the brands hopes will make the customer more comfortable and more likely to complete the process. Financial institution Bank of America launched its Digital Mortgage Experience, which guides customers through the mortgage process and helps them pick customized terms that fit their needs. Users access it through the Bank of America website app, and relevant data is automatically pulled from the bank’s own systems and auto-populated in the application, reducing the number of fields customers have to enter in their application by half. Customers can also communicate directly with lending specialists to ask questions at any stage. By making the experience less confusing and more seamless, most customers are able to get to a closing date in half the time. Drugstore chain CVS Health partnered with online symptom checker Buoy Health, using AI to help patients find the right plan of care. 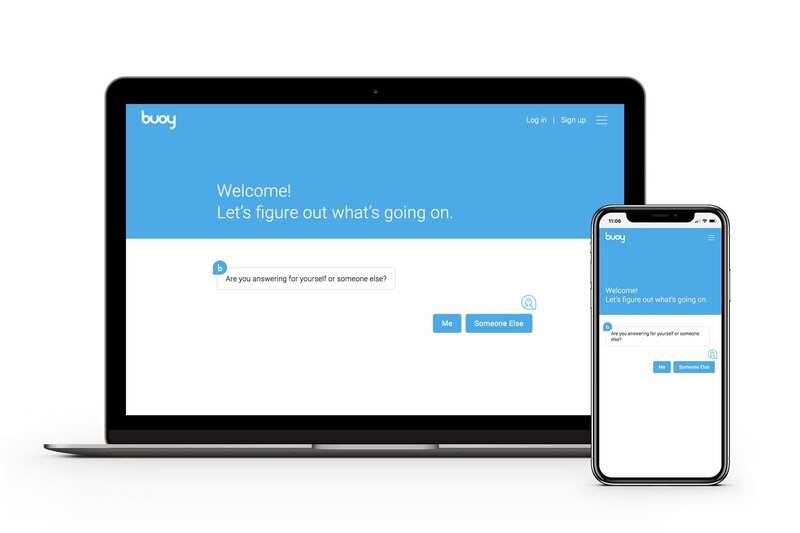 Consumers can use the chatbot on the Buoy app or website to answer a series of questions about their symptoms and be guided to appropriate treatment. If consumers are referred to one of CVS’ MinuteClinics, with 1,100 locations nationwide, CVS will even hold their place in line. The partnership aims to make the patient experience better and lower healthcare costs by reducing reliance on the ER. Automaker Kia announced the debut of chatbot NiroBot, which will offer consumers guided vehicle discovery, expansive technical knowledge, step-by-step tutorials and test-drive scheduling. These are just a few ways that brands are maintaining a personal touch to boost shopper confidence and improve the consumer experience in a digital age—for more information, see PSFK’s report Enriching Experiences Through The Customer-First Approach.